The past 18 months have been testy times for young Russians looking to purchase a home they could call their own. But come April, the difficult times may be over, as the government starts paying more serious attention to the idea of using Russian taxpayer money to get at the root of the nation’s mortgage problem: the higher-than-average interest rates that scare off potential borrowers. But does this actually mean that the average Russian citizen will be able to afford a mortgage? The credit crunch, a consequence of the global financial meltdown, has shattered the dreams of the Russian banks that depend on substantial amounts of cheap and long-term funds from the West. This situation added to the growing urgency in implementing an effective fix for the country’s deepening mortgage crisis, and persuaded Vladimir Putin"s government to prop up the flagging sector through the injection of an additional 250 billion rubles ($8.3 billion) into a special program due to take off in April. The Russian state-controlled VneshEconomBank (VEB) and a government loan servicer, the Agency for Housing Mortgage Lending (AHML), have been selected to administer the program, with AHML set to control 40 billion rubles to be used to refinance mortgage loans granted by small regional banks. VEB is to spend the remaining 210 billion rubles to buy mortgage-backed bonds over three years, and to fix the volume and value for mortgage funds in such a way that banks would eventually be able to access funds at an annual interest rate not exceeding seven percent. There are also efforts afoot to raise the level of support that borrowers can receive, especially in big cities. Potential borrowers can now access standard mortgages worth up to eight million rubles (up from a planned six million rubles) for housing located in Moscow and St. Petersburg, and up to three million rubles for those located elsewhere in the country. The government hopes that these measures would rejuvenate the real estate sector, and end a year of lull in the mortgage market that had all but derailed its “Affordable Housing for All” program. Figures released by the Bank of Russia indicate that the mortgage market had teetered on the verge of collapse in 2009, edged on by depressed confidence and the persistent problems in international credit markets. The volume of mortgage housing loans provided by banks in Russia to individuals in 2009 amounted to 152.5 billion rubles, 4.3 times less than the 655.8 billion rubles issued in 2008. Mortgage lending in Russian rubles last year capped at 143 billion rubles, or four times less than in 2008, while the volume of lending in foreign currency was 9.5 billion rubles, which is ten times less than in 2000. The number of mortgages granted in 2009 contracted 2.7 times to 130,000 from 350,000 granted in 2008. About 90 percent of all mortgages last year were issued by just three entities - Sberbank, the Agency for Housing Mortgage Lending (AHML) and VTB 24. Of this, Sberbank, the nation’s largest bank, accounted for 63 percent. However, the bank"s dominant position failed to make an impact in terms of accessibility of mortgage loans to the public, as the bank"s own interest rates were comparable to those of other commercial banks on the market. Mortgage loans delinquencies shot up 2.7 times to 31 billion rubles from just 11.5 billion rubles in the previous years. Of this, ruble-loan delinquencies increased 3.5 times to 18.5 billion rubles, while for foreign currency, debt doubled to 12.5 billion rubles. 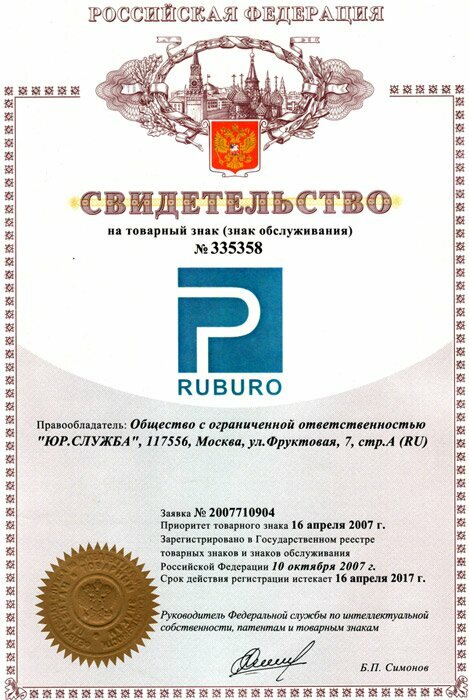 According to the Central Bank, the weighted average interest rate on ruble mortgage loans increased in 2009 to 14.3 percent, from 12.9 percent in 2008 and 12.6 percent yearly in 2007. The average interest rate on loans granted in December of 2009 amounted to 13.7 percent, down from 14.9 percent recorded in April. But mortgage loans delinquencies at the beginning of 2010 amounted to 31.031 billion rubles, a three-fold increase over the 11.499 billion rubles in the previous year, according to data published by the Central Bank on March 1. The total volume of mortgage loans decreased four-fold, capping at 152.5 billion rubles. To avert the imminent collapse of the segment and put mortgage within the reach of young Russians, the State Duma passed a law in mid-February allowing the securitization of mortgage loans with an initial down-payment of 20 percent instead of the current 30 percent. The bill allows mortgage loans to be included in mortgage-backed securities, so that the banks would provide 80 percent equity while allowing borrowers to come up with a 20 percent down-payment. “Up to five million households or approximately 15 million people in Russia will benefit from mortgage loans if the down-payment is lowered from 30 percent to 20 percent,” said Alexander Pochinok, the deputy chairman of the Federation Council Commission on Housing Policy, Housing and Communal Services. Pochinok predicted that the new law would increase mortgage lending five-fold, while making processing mortgages more accessible, simpler and less risky. However, the contention among potential mortgage borrowers is that the government did not go far enough. An opinion poll conducted last month by Russia"s Universal Buro (RUBURO), a mortgage broker, showed an overwhelming majority of respondents (99 percent) in favor of capping the down-payment on a mortgage at ten percent and lowering interest rates to six percent. This is in sync with the practice on many developed markets. In the United States, for instance, economists predict that rates will average 5.25 percent in the last month of the next two quarters, before inching up to 5.28 in the first quarter of 2010 and hitting 5.50 percent in the following quarter. In Canada, a variable-rate mortgage interest rate can be had for as low as two percent to 2.25 percent, while the fixed five-year posted rate at Canada’s top five banks is 5.39 percent. "Under present conditions, Russians continue to shy away from taking mortgages,"Andrei Vlass , a Home Refinance Mortgage Attorney with RUBURO, said. "In a situation when average wages remain low, only a handful of potential borrowers could afford the 20 percent down-payment." Most of the mortgage loans currently being issued are for ten to 15 years, putting further pressure on borrowers, Vlas said. "Even a 15-year mortgage at today"s posted rate of 11 percent would still not be affordable for most Russians," he added. Persisting doubts about cutting interest rates amid further deterioration in real estate prices are also threatening to stymie the government"s efforts to make inroads toward reviving the mortgage sector. Vladimir Ponomarev, the vice president of the Builders Association of Russia, told RIA Novosti last week that further reductions in mortgage interest rates would not only lead to inflation, but also “inflate the bubble” in the property market, and precipitate a complete halt to the mortgage lending system in Russia. "Whenever we lower interest rates, we can decrease the attractiveness of mortgage-backed securities and discourage investors from buying them,” Ponomarev said, adding that the right interest rates are those set by the free market mechanism.